For the benefit of our readers, what is the principle of Aerostatic bearings, and how do they compare to roller-element or oil hydrostatic bearings? There are two types of aerostatic bearings, inlet restricted and outlet restricted. Outlet restricted are simple in design, but lack stiffness and load capacity. Inlet restricted type aerostatic bearings on the other hand use orifices or capillaries to reduce the bearing supply pressure to an intermediate pressure into the bearing gap. The level of this intermediate pressure also depends on the width of the bearing gap right after the orifice. 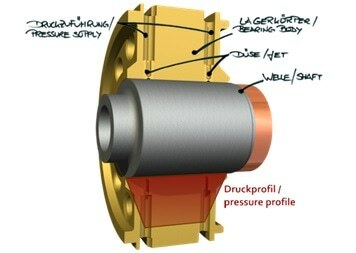 This means that the smaller the bearing gap, the higher the resulting pressure. For the journal bearing shown in Figure 1, this again means that, if you excentre the shaft from its mid position, the change in pressure in and against this eccentricity would create a restoring force that brings the shaft back into its center position. This creates load capacity and stiffness (which is the change in load capacity divided by the shaft eccentricity). To achieve a comparable bearing stiffness, the bearing gap between the shaft and the bearing needs to be in the range of 1/10.000 to 4/10.000 times the bearing diameter. This depends on the rotation speed of the journal bearing because temperature and centrifugal load on the shaft can cause a reduction in the bearing gap of up to 70%. Compared to roller bearings and their tiny Hertzian contact between the roller elements and the bearing race, the area of an aerostatic bearing is huge. In combination with small bearing gaps this generates bearing stiffnesses and load capacities that are comparable with roller bearings. The reasons why aerostatic bearings are being used in many machining applications is due to their ability to run very fast and their low errors in motion. 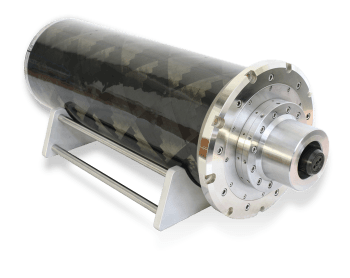 Where with roller bearings the bearing cage limits the acceleration, deceleration, and speed, only the centrifugal load on the shaft limits the speeds for aerostatic bearings and only the available motor torque limits the acceleration and deceleration. That’s why there are motor spindles available with aerostatic bearings to machine printed circuit boards with up to 400.000 rpm. When it comes to precision and errors in shaft motion there is nothing more accurate than aerostatic bearings. As nothing else than the shaft rotates, and because the thin pressurized gas film between the shaft and the bearing has an averaging effect, any errors in shaft motion for an aerostatic spindle are 10 to 20 times lower than for those with roller bearings. And, the lower the error in shaft motion, the better the achievable surface finish of the part that you want to machine. When it comes to errors in shaft motion, machining spindles with oil hydrostatic bearings on the other hand show values in between those with aerostatic bearings and roller bearings. However, the mixture of air and oil in the bearing gap has a dynamic effect which causes cavitation and pockets with sharp edges and affects the overall error in motion significantly. 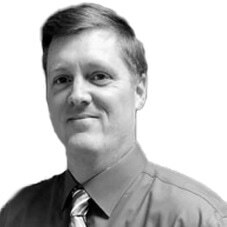 Things get worse when adding speed to a comparison between oil hydrostatic and aerostatic bearings. 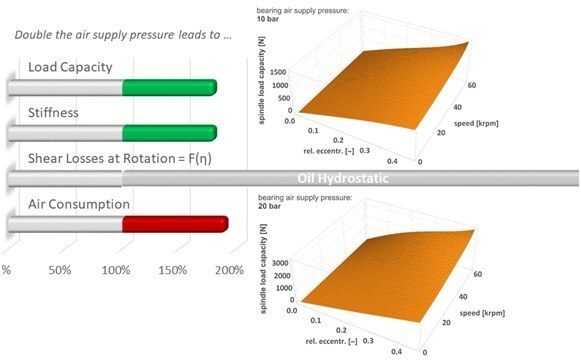 As oil has a viscosity that is 1000 times higher than air, and because shear friction within the bearing gap mainly depends on the fluid viscosity, oil-hydrostatic bearings generate a tremendous amount of heat when used at higher speeds. This not only affects the thermal behaviour of the entire machining system, it requires an electric motor that is way larger than it would need to be with aerostatic bearings. Also, the oil-hydrostatic system requires very complex and sophisticated sealing, along with filter and cooling technologies that make machining spindles with oil-hydrostatic bearings very expensive and maintenance-intensive. To create aerostatic bearings, a very sophisticated machining and design is required. The overall spindle design on the other hand can be very simplistic. Thus, initial and maintenance costs are lower than for any other spindle solution, provided the same volume is required. When it comes to robustness and load capacity, aerostatic bearings have been behind oil-hydrostatic and roller bearings. They offer a much higher damping than roller bearings, overload however can cause a touchdown and a damage to the bearing system. Levicron have developed their new high-pressure aerostatic technology to face this problem. 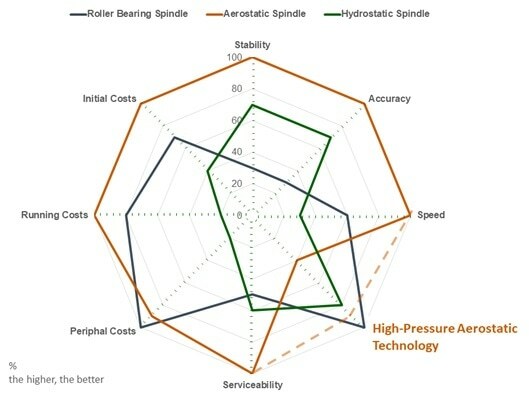 What industries benefit from using machining spindles with aerostatic bearings, and what does this mean for OEM customers? 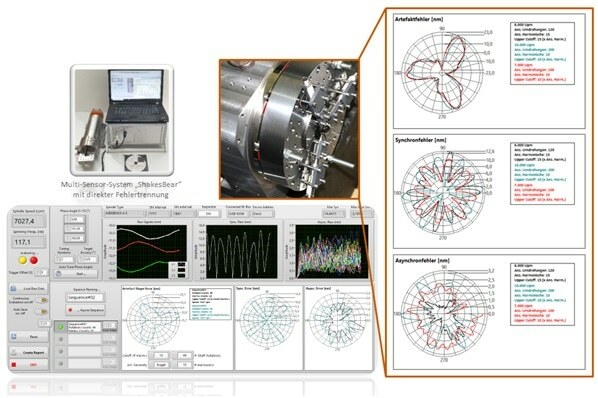 Looking at Figure 2, it is obvious that precision, stability, speed, and very small errors in motion are outstanding properties of machining spindles with aerostatic bearings where errors in shaft motion can directly be related to part surface finish. 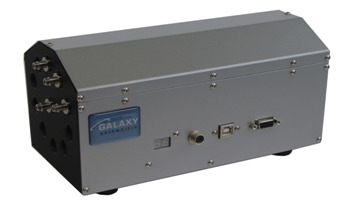 Components for electronic devices, automotive lighting, watch components, fuel injectors, and precision optics directly benefit from or even rely on these properties. 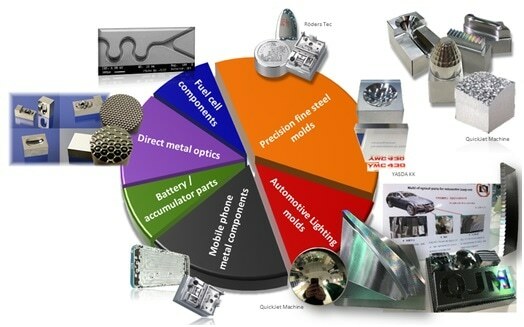 As many of these parts are molded, industries specialised in machining molds and dies, especially those for optical components and electrical components, can achieve better qualities at higher productivities at the same time. 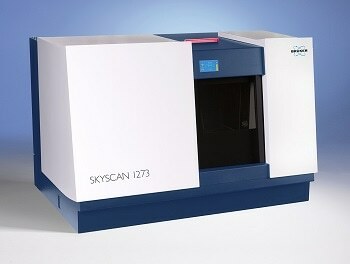 That being said, a new generation CNC machine tool for such parts and molds, designed for better accuracy, stability, and improved dynamics and programming, and including aerostatic motor spindles with automated HSK tool clamping, can be seen more and more often and are predicted to become a standard in the near future. What do Levicron offer to help the user and OEM achieve these results? 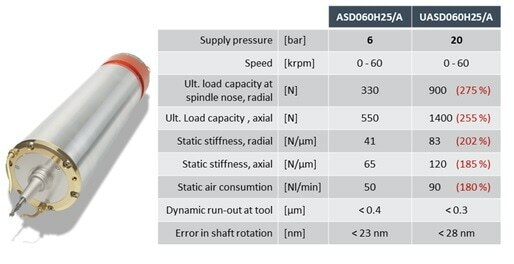 With our aerostatic tool spindle called ASD-H25/A (the first aerostatic spindle with automated HSK25 taper clamping ever) we can already offer superior stability, reduced error in motion, and increase of speed, along with all the features that other standard tool spindles offer. 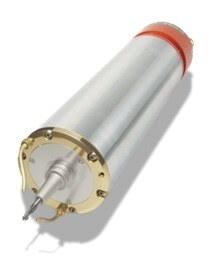 This includes water cooling, tool clamping status monitoring, a rotary encoder, as well as a unique DC motor technology. Based on its accuracy, stability, and ability to generate optical surface finish, several new machine tools have been created by several OEM’s to offer machining solutions for the markets mentioned before. These machine tools now finish-machine larger parts from pre-machined ones to smaller ones directly. Despite its robustness compared to all other aerostatic spindles, often two machines are required to create a steel mold. One is needed for roughing with a conventional machine, and one is needed for finish machining. Levicron developed their High-Pressure Aerostatic Technology to face this challenge and to allow a single-machine solution to create steel molds. Why is it that the high-pressure aerostatic bearing technology would allow combine rough and finish machining? Looking at Figure 2, it becomes clear that the only downside of using aerostatic spindles is the lower load capacity that prevents the customer from using larger tools and deeper cuts. Spindles with roller bearings on the other hand can’t give the speed and surface finish required, and oil-hydrostatic spindles cannot be used because of the lack of speed and the costs involved. The idea behind our High-Pressure Aerostatic Technology is quite simple. Increasing the supply pressure to an aerostatic bearing increases the stiffness and load capacity directly. As we learned from oil-hydrostatic bearings, shear losses in the bearing gap depend on the viscosity of the bearing fluid at a rate of almost 95%, and the viscosity of oil is approximately 1,000 times’ higher than the viscosity of air or gas. Increasing the pressure of a gas only slightly changes its viscosity. 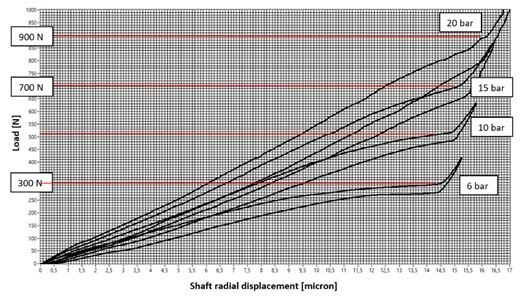 Therefore, increasing the supply pressure to a gas bearing increases its stiffness and load capacity, but does not change the shear losses generated when the shaft is spinning. However, increasing the supply pressure also leads to a linear increase in air consumption which we also took care of. A bespoke and patented laser drilling process allows us to generate very small orifices (capillaries) to restrict the air from the pressure supply channel into the bearing gap. The smaller orifices not only reduce the air flow by approximately 65%, they also generate a higher stiffness and load capacity at large shaft eccentricities because smaller jets give better values at small bearing gaps. This again is the case when the shaft excentres due to a side load from the tool. Based on this technology we were able to generate aerostatic tool spindles for full-range machining. Our ASD-H25/A now can come as a UASD-H25/A and almost triples the load capacity at three times’ the supply pressure compared to the standard ASD-H25/A. There are off-the-shelf industrial air compressor solutions available to generate pressures of up to 35 bar which is what keeps the additional costs low. Besides the air compressor, a suitable air dryer is necessary, as at higher pressures it is harder to remove the residual water from the air. Along with the high-pressure modification of our ASD-H25, we have just developed a new spindle type with automated HSK-E40 taper interface that is fully based on this High Pressure Aerostatic Technology. This UASD-H40 spindle type not only allows for higher loads, it is also specifically designed as a full-range machining spindle where the end-customer can cover both rough and finish machining. Running at 40 to 60 bar air pressure it can take an ultimate radial side load of 3.000 N at the spindle nose and still runs up to 60.000 rpm. Combined with a very powerful DC brushless motor, it offers 4 Nm constant motor torque to use 8mm cutters in steel for rough machining. To allow high-speed machining and optical surface finish, a new HSK Clamping system had to be developed too. With the shaft internal clamping system SLHx, Levicron now offer a spring-less and automated HSK clamping that allows 50% higher spindle speeds and that significantly improves spindle dynamics and serviceability. What are the limitations of current HSK taper interface clamping? Looking at the current state of HSK taper clamping, it is clear that there are many parts involved that all spin along with the shaft. 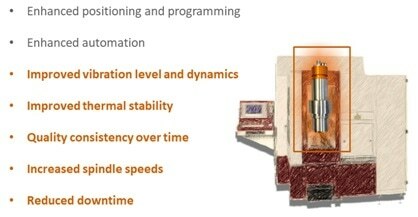 As seen in Figure 12, there is a clamping unit engaging with the HSK tool (left) followed by a force-generating unit (right). This also includes hundreds of disc springs that permanently pull the HSK tool into the shaft taper. This not only increases the shaft weight and its moments of inertia, it also affects the shaft dynamics and creates non-predictable and changing imbalances. This therefore requires time to correct and the investment in cost intensive service works. The limitation in speed for HSK size 40 for example is 42.000 rpm. As we needed to go to up to 60.000 rpm with our UASD-H40 type spindle, we were faced with the fact that we had to develop our very own shaft-internal HSK taper clamping system. The largest influence on shaft dynamics and speed with standard HSK clamping units are the disc springs and a long push rod rotating with the shaft. There had been attempts to replace the force-generating part by gas springs or by locking units that work based on the principle of self-locking. 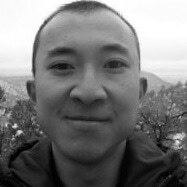 However, repeatability and reliability prevented these systems from becoming an industry standard. How have Levicron managed to get beyond these Limits? Levicron have managed to combine a clamping and locking unit that engages with the HSK tool by preloading the taper connection and locking it in a clamping state. It requires no springs and works with the principle of self-locking. Although there is a requirement to move an operation stud for unclamping and clamping, the number of parts involved and the overall size and weight however could be reduced significantly. The draw bar now does not have to rotate with the shaft, but can stand still and only interacts with the black operation stud for clamping and unclamping. Shaft dynamics, balance consistency, and reliability all greatly improved and when it comes to a service, it is now possible to simply remove the shaft from the spindle without removing the clamping system. All Levicron spindle solutions with HSK clamping now come with our patent pending SLHx units. What applications is this best suited to? 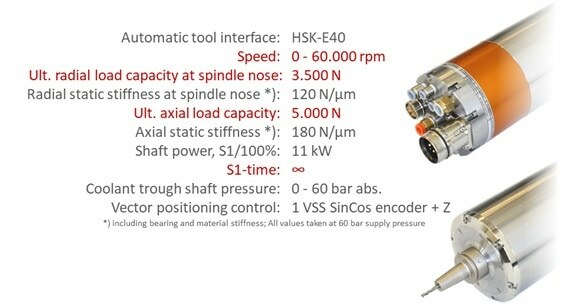 Basically, all spindle products and all applications shown in Figure 4 would benefit from this improved HSK tool clamping, but especially those that require high spindle speeds and/or optical surface finish. As the new shaft internal HSK clamping system allows a 50% increase in spindle speed, now smaller tools can be used for the finish of machining parts with small features. Due to the greatly improved shaft dynamics, achievable surface finish has become even better with spindle solutions from Levicron. 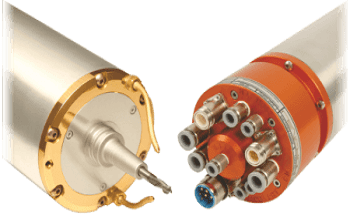 Will this shaft-internal HSK clamping system be available separately for other OEMs? Yes, it will. After the tests with the first prototypes it became clear that we had just found a very simplistic and robust solution that CNC machining spindles could generally benefit from. The simplicity however made it necessary to protect our intellectual properties on this technology before we could approach other spindle OEM’s. Long story short, our SLHx HSK clamping units will be available to other spindle OEM’s as long as the spindle solution they want to use the clamping system with is based on roller bearings and not aerostatic bearings. Where can our readers go to find out more about these topics? We are also happy to get in touch with the reader to provide further details. For more than a decade, Ralf has been driven by non-contact bearing systems like air bearings as well as precision engineering and machining. Coming from a high-speed drilling spindles and centrifugal compressors background, Ralf founded Levicron back in 2010 and yielded to his temptation of precision machining and high-speed spindle systems. 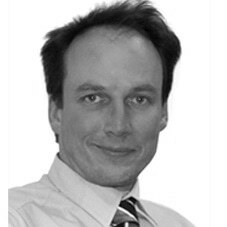 Ralf holds a degree in industrial engineering from TU Kaiserslautern. 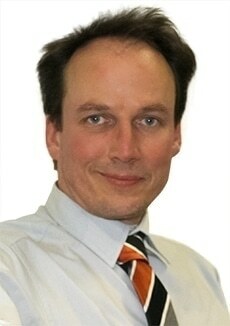 Ralf previously worked for Air Bearings Ltd, MAN Turbo AG, Fischer-Precise AG and the University of Kaiserslautern. This information has been sourced, reviewed and adapted from materials provided by Levicron GmbH. 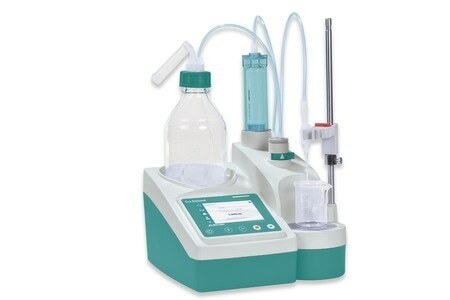 For more information on this source, please visit Levicron GmbH.